Eddie Bauer® - Fleece Vest. Eddie Bauer® - Ladies Fleece Vest. Port Authority® Core Soft Shell Vest... Port Authority® Core Soft Shell Vest. Port Authority® Ladies Core Soft She... Port Authority® Ladies Core Soft Shell Vest. Port Authority® Ladies Microfleece V... Port Authority® Ladies Microfleece Vest. Port Authority® Ladies Puffy Vest. Port Authority® Ladies R-Tek® Pr... Port Authority® Ladies R-Tek® Pro Fleece Full-Zip Vest. Port Authority® Ladies Value Fleece ... Port Authority® Ladies Value Fleece Vest. Port Authority® R-Tek® Pro Fleec... Port Authority® R-Tek® Pro Fleece Full-Zip Vest. Port Authority® Reversible Charger V... Port Authority® Reversible Charger Vest. Port Authority® Value Fleece Vest. Port Authority® Value V-Neck Sweater... 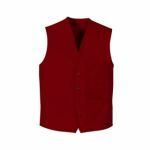 Port Authority® Value V-Neck Sweater Vest. Port Authority® Youth Value Fleece V... Port Authority® Youth Value Fleece Vest.